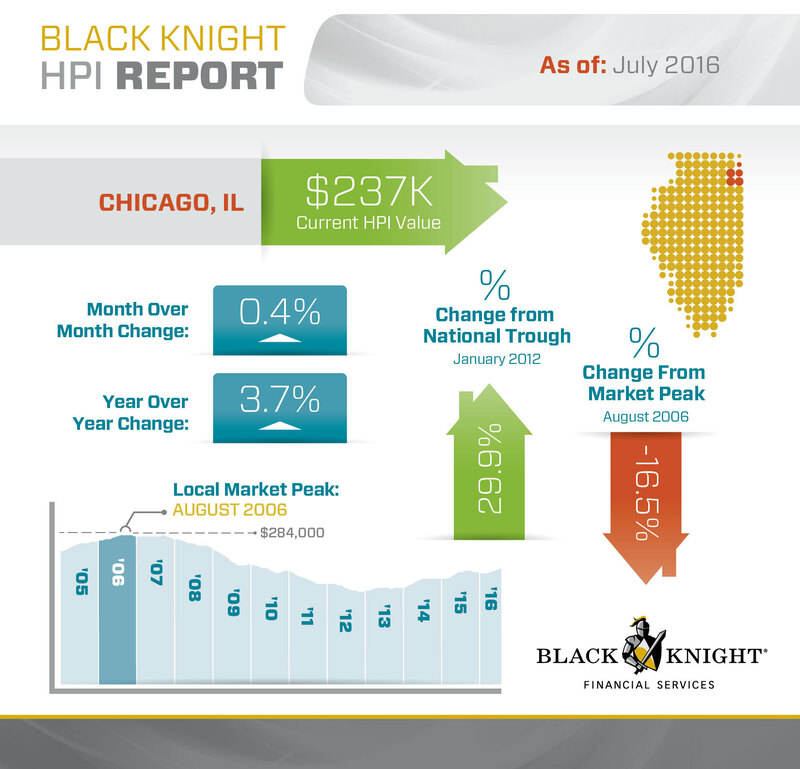 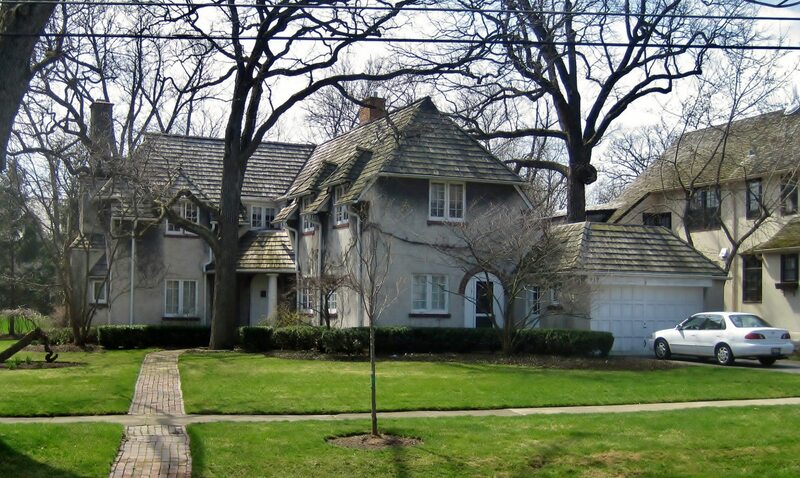 Black Knight Financial Services released its July 2016 home price index data for Chicago, based on summarized sales data — here’s how the metro measured up. In July 2016, Black Knight showed the metro home price index value at $237,000, up 0.4 percent month-over-month and 3.7 percent year-over-year. 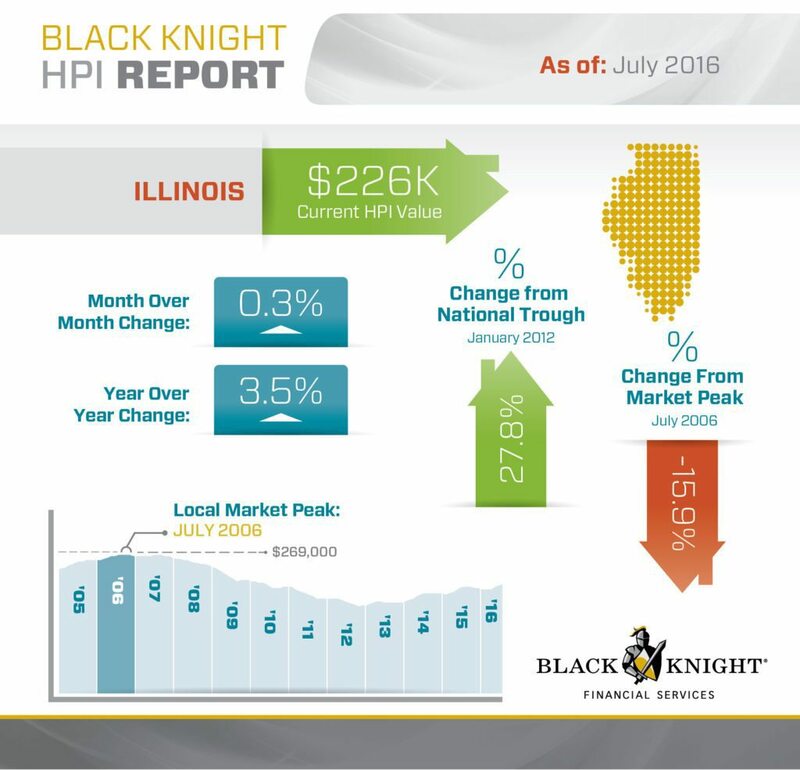 In July 2016, Black Knight showed the state home price index value at $226,000, up 0.3 percent month-over-month and 3.5 percent year-over-year. 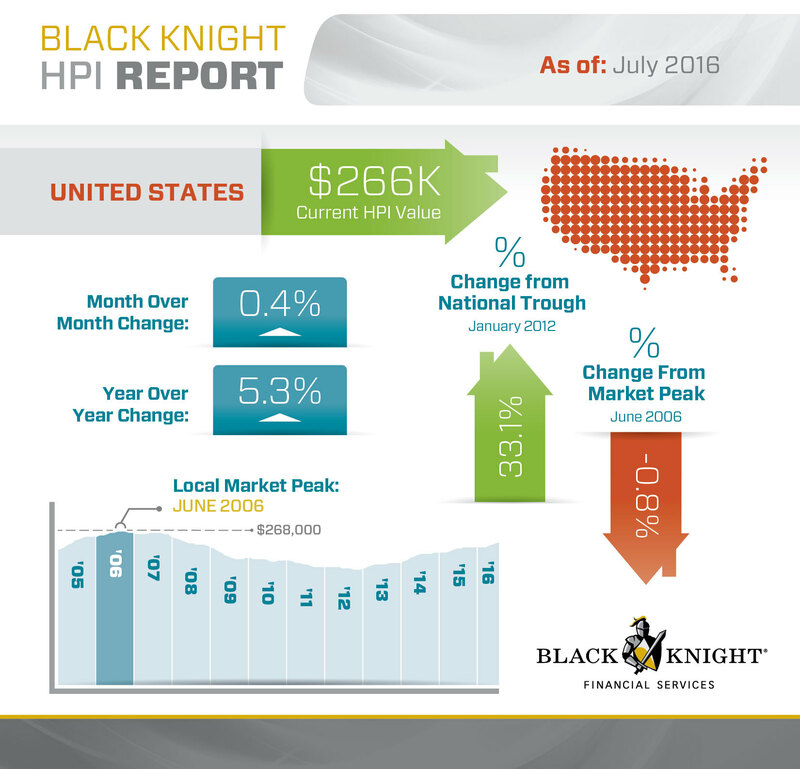 In July 2016, Black Knight showed the national home price index value at $266,000, up 0.4 percent month-over-month and 5.3 percent year-over-year.